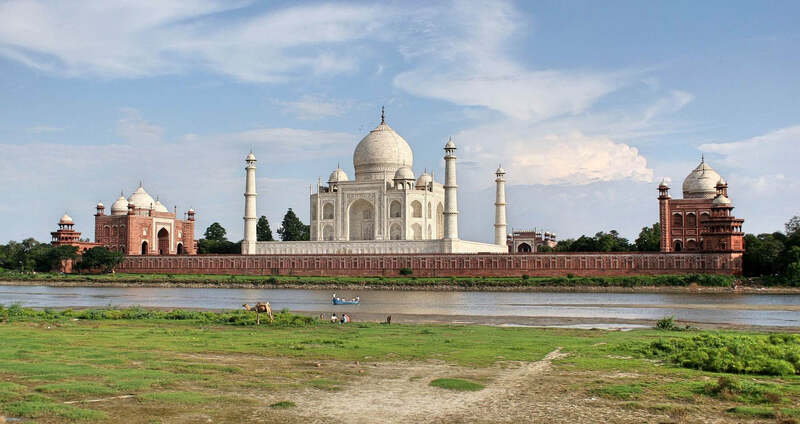 Bike Street Boys is proud to bring you a two days luxury bicycle tour from Delhi to Agra, which includes The Taj Mahal, a UNESCO World Heritage Site and one of the 7 Wonders of the World, as a major trip attraction. Set your saddle and get on to it to ride along the western bank of Yamuna river and witness the unseen beauty of Old Delhi by the dawn. It is a 17th century city with its walls spread over 7 miles, enclosing the Lal Qila (Red Fort), the Jama Masjid (Friday Mosque), Chandni Chowk and the residential quarters. Otherwise a jostling town with an overcrowded cluster of shops, lively bazaars, tumbledown houses and volumes of traffic, this part of Delhi carries a different charm during wee hours allowing us to seep in its glory while enjoying our ride on its silent streets. If you are a corporate group, then we could indulge your team in a fast-paced and engaging team building exercise while making an immediate and meaningful impact on your journey. Old Delhi is an all-time favorite of our local & foreign tourists for it allows us to rest for a nutritious local breakfast before we embark upon our ride towards New Delhi. New Delhi strikes an evident contrast to its culturally and historically rich sister, Old Delhi. We will ride along the New Delhi’s popular commercial and residential complexes, neon light shopping malls, museums, art galleries and crafts expositions until noon. Then we welcome the best hour of the day, the lunch hour and indulge into a sumptuous meal to satisfy our core before we call it a day. You are then free to explore other attractions on your own such as, Qutub Minar, Lotus Temple and Connaught Place or indulge yourself in shopping at Janpath market. Our team will transfer you from the Agra station to East Gate of The Taj Mahal from where we’ll begin cycling. We will tour across the Taj Mahal, Agra Fort, Jama Masjid, Kinari Bazaar, and Sadar Bazaar. Our experienced trip leader will engage you in a highly reflexive and generative dialog around the history and architecture of Agra. You will also get to experience a guided tour of the Taj Mahal from the inside. Over breakfast and lunch, indulge yourself in thought-provoking conversations around this ode to love, the Taj Mahal that mesmerizes several fascinated onlookers from near and abroad. We return to Delhi by train (Departure from AGC: 17:50 hrs - Arrival at HZM- 19:30 hrs).